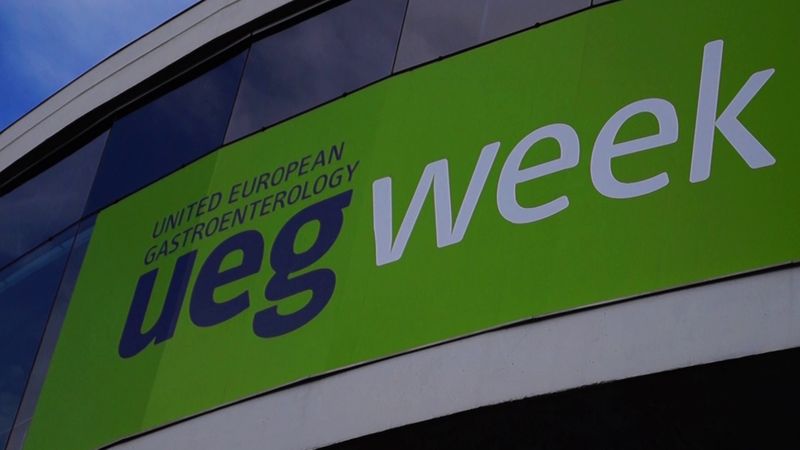 This year the United European Gastroenterology Week took place from October 24th to 28th in Barcelona. Over 13 000 participants from 114 countries were present. The BÜHLMANN team was among the 2325 exhibitors. This year’s UEGW marked an important event for us with the publication of the first clinical usability evaluation of IBDoc®. The data was published as poster by Beyer et al. from the renowned IBD center of the General Hospital in Vienna, Austria and received a poster of excellence award. A second poster by Weber et al. convincingly showed the high equivalence of IBDoc® results between professional users and lay users. With the Quantum Blue® Infliximab test for measuring serum infliximab trough levels, we announced our first product of the Therapeutic Drug Monitoring (TDM) portfolio. Please also have a look at our short video about the BÜHLMANN participation at UEGW 2015 in Barcelona, enjoy!